Are you looking for a place to belong and to be challenged? Do you want exciting worship and genuine fellowship? Then why not come to The Grove? Where it is not about the building, it's about the people. We are glad you are visiting our web site and hope you find useful information while you are here. At Mull's Grove, you will discover enthusiastic preaching of God's truth, energetic worship and an inclusive fellowship. Our Mission is to lead people into a personal relationship with Jesus Christ and help people discover their gifts to provide avenues for service. In addition to Sunday services, we have an active Youth Group marked by a number of hands-on mission activities. We have a growing Children's Ministry with a Children's sermon and Children's Church. Wednesday evenings begin with a well-attended fellowship meal followed by prayer and Bible Study. 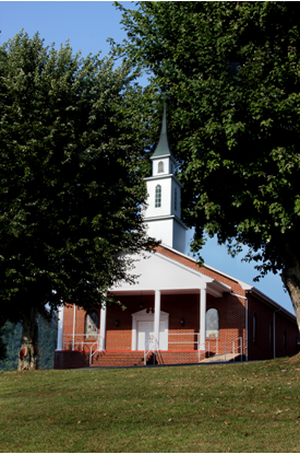 Come visit us, you might find your needs met here at Mull's Grove Baptist Church.